Patricia Ruth ‘Myers’ Mizer passed away December 21, 2018 at the Peaks in Flagstaff, AZ at the age of 94. Patricia was an Arizona pioneer, a loving wife, mother, grandmother and great grandmother. Pat leaves 3 sons and their wives, Robert (Roberta) Flagstaff, AZ, Michael (Barbara) Dallas, TX, and Ted (Kathy) Camp Verde, AZ; 1 half sister Jana Bidwell of Angel Camp, CA, 6 grandchildren and 13 great grandchildren. Pat was born February 25, 1924 at St. Joseph’s Hospital in Phoenix, the daughter of Arthur Henry and Mabel ‘Grabe’ Myers. Pat’s father, Arthur, assumed ownership of Myers-Leiber Sign Company from his father, Henry, who established the sign company in 1916 in early Phoenix. Henry immigrated to the US from Germany in 1896 through San Francisco and later on to Phoenix in 1903. Pat’s early life was tested when her mother, Mabel had been diagnosed with Tuberculosis and was isolated in the Sunnyslope TB clinic. Pat’s regret was to never have hugged her mom during 4 years of isolation until Mabel’s passing in 1928. Since her moms passing, Pat was raised by her grandparents Henry and Pauline Myers with the help of her aunt Dolly. Later, Dolly went on to California and married Hank Mann, who was the last surviving member of Max Sennett’s ‘Key Stone Cops’ in early days of Hollywood. Pat’s education started at Emmerson grade school, followed by attending Phoenix Union High School, graduating in 1941. She married Bob Mizer in Salome, AZ in 1942, after dating in high school. Their life was filled with love and devotion as they were also best friends and shared 53 years together, until Bob’s passing in 1995. Bob was a legacy owner and General Manager of the Superlite Builders Supply Block Company which participated in the building boom of Phoenix during the late 40’s, 50’s, 60’s and 70’s. Pat led a happy and busy social life as a member of Century, Moon Valley and Aspen Valley Country Clubs, and was an avid golfer. She was also a Cub Scout den mother, active member of the Phoenix Womens Club, Kachina Club, and was an accomplished bridge player, and participated in tournaments at the highest level. Besides living most of her life in Phoenix, Pat moved to Flagstaff with Bob for an opportunity to own a new block and materials business in 1973. Pat lived her remaining years in Flagstaff enjoying family and friends while continuing to play bridge right up to her passing. Robert "Uncle Bob" Anthony Reyes, a resident of Flagstaff, Arizona passed away peacefully on December 31, 2018. Bob was preceded in death by his parents Bernardino and Assumption and his brother Ramon. Bob is survived by his sisters and brothers Rosie Gallegos (Daniel), Cecilia Navarro, Ralph Reyes (Melba), Richard Reyes (Jackie), Vickie Reyes, Christine Carrillo (Fabian), Mary "Nena" Chavez, Theresa "Terri" Quinlan and 16 nieces, 23 nephews, 32 great nieces, 36 great nephews, 13 great-great nieces and 12 great-great nephews that all loved him dearly. In addition, he will be remembered by many veterans and advocates in both Flagstaff and Arizona. Bob was a proud graduate of Flagstaff High School in 1964. Bob served with the US Navy from November 1965 through October 1971. After the service, he continued on with the American Legion Post 3. As a faithful man, Bob was a devoted Catholic parishioner to the San Francisco de ASIS Parish here in Flagstaff and an active member of the Knights of Columbus, as well as an advocate of the Special Olympics. From volunteering and raising funds or even watching the games, Bob helped out whenever and wherever he could. As a life member of the American Legion, Bob was a main advocate of veterans and their affairs. Bob was an integral part of the American Legion for so many years. Bob was an instrumental part in the starting up of the American Legion Baseball and Softball teams, developing the first American Legion Vietnam Veteran Committee and providing the representation of the Honor Guard at all veteran funerals. Bob was one of the people who pushed for the traveling Vietnam Wall to be placed in Wheeler Park so many years ago. Bob also conducted the ceremonies and flag placement for all veterans within the cemeteries for Memorial Day. Bob also made sure that the Honor Gold Star families from Flagstaff were recognized during these services. On a state level with the American Legion, Bob was a past State Commander of the American Legion, a chairman of the Children and Youth Committee, on the Board of Directors of the Oratorical Committee and a member of the legislature of Arizona Boys State District 1. Bob was very humble when it came to the things he did and didn't expect praise for any of these contributions, but the lives he touched were priceless. Bob was able to do many things for many people that the list could go on forever. After the passing of his mother in 1991, Bob moved in with his sister Terri and her children Sarah, Jason, Jennifer, Michael and Michelle to assist with the care of his own father. Bob was much more than just an uncle to all of them. Bob did so much to teach them and even more recently, teach their own children about life and the real world. In the fall of 2014, Bob retired from the American Legion as the Post Adjutant and turned his focus to spending time outdoors. After retirement, he was able to enjoy the other aspects of life, specifically, with his family and friends. Always willing to assist those who served and the remembrance of those who had fallen, Bobby made it a priority to NEVER FORGET. Services will be held Wednesday, January 9, 2019 at Our Lady of Guadalupe Catholic Church in Flagstaff. The rosary is at 9:30 am and Mass follows at 10:30 with the burial services concluding at the Citizen's Cemetery. A reception will be held at The American Legion. Memories and condolences can be shared with the family directly or online at www.norvelowensmortuary.com. At the age of 87 , Dr. Eldon Bills passed away December 17th. Recently living in Cottonwood, he is survived by his wife Marilyn of 61 years. Other survivors are his brother, Burl Bills of Corydon, Iowa, sons Loren and wife Lynne of Cottonwood, Erik and wife Debra of Chino Valley, and Koner and wife Joann of Las Vegas, ten grandchildren and five great grandchildren. Eldon was born in Wayne County, Iowa to Loren and Vera (Nye) Bills. College days included University of Sioux Falls. Then the State University of Iowa in Iowa City. There he received his D.D.S. along with an M.S. in Prosthodontics and an M.S. in Orthodontics. Met Marilyn at this time when he hired her as his dental assistant for his “part-time” dental practice. She was studying to be a dental hygienist at the dental school they both attended. They married June 7, 1957. After his schooling he spent two years doing dentistry for the Marines at Camp Pendleton. He retired as a Captain in 1985 for a total of 33 years in the Navy Reserves. He moved his family to Flagstaff in 1961 where he opened his orthodontic practice treating patients for 40 years. He participated and enjoyed being a member of Northern Arizona Dental Society, (founding member of their Research and Study Group), Founding member of Coconino Dental Care Clinic, Arizona State Dental Association, five years on the State Board of Dental Examiners, Arizona State Dental Leadership Service Award. Orthodontic Associations include: The American Association of Orthodontics, The Pacific Coast and the Rocky Mountain Society of Orthodontists and elected for a seven year term as an examiner on the American Board of Orthodontists. During these years he also took part in the American Cleft Palate Association, American Association of Examiners and the Vienna Study Group among others. Community involvement included Federated Church, Kiwanis Club of Flagstaff (the Malpais Kiwanis was founded under his Presidency), Boy Scouts of America and a very favorite, the Raymond Educational Foundation (holding several offices including the presidency from 1991 to 2006. Other activities were; multi-engine instrument rated pilot, hunting, fishing enthusiast – forever ! , boating, travel, photography, shooting and reloading, fly-tying, wood and metal work. Apprenticed and certified meat cutter 1945 to 1949. (Helped pay his way through college). Retirement years were spent in Lake Montezuma where he was on the Medical Board for the community. Participated with the Walk to Emmaus organization along with First Baptist/Parkside Church in Camp Verde. He appreciated great friends he made in this part of the Verde. The family would like to thank the owners and caregivers of Page Springs Living in Cornville for the loving care they expressed to Eldon during his final months of his life. This farm country raised, energetic, intelligent and professional man will be missed until we make our heavenly connection with him. Memorial services for the family will be arranged at a later date. Joni Lynn Duran was born in Tucson, Arizona on May 4th 1960 to Leonard & Lois (Schranz) Chedsey and moved to her adopted hometown of Flagstaff in 1985. She passed away December 28th, 2018 at age 58. She is dearly missed by those who were fortunate enough to know and love her. Joni had an amazing sense of humor, as those who knew her will attest to. She loved the outdoors and hiking with her kids. She loved to cook delicious meals for her family. Joni, later in life, became a great fan of football, and knew more about the sport than most people. She considered herself fortunate to marry Tony, the love of her life in 2007. More than anything else, she loved to take what she called “Grandma Sabbaticals” to visit her grandchildren. The kids fondly remember baking cookies, playing all sorts of games, trading funny text messages, and overall having the nicest and best “Ginny” ever. Joni is survived by her husband, Anthony Duran; mother Lois (Daniel) Chedsey; sister Jacque (Steve) Leach; brother Joseph (Sherry) Chedsey; daughters Autumn (DJ) Montoya and Robin Meadows; son Randall Whitehead; grandchildren Ben, Tyler, and Jae who love and miss their Ginny. She was preceded in death by her father Leonard Chedsey in 1987. Memorial services will be held at Our Lady of Guadalupe on Monday, January 7th, 2019 at 9:30 A.M. If you wish to send plants/flowers, please contact Norvel Owens Mortuary. Marshall L. Morado, 83, of Flagstaff passed away peacefully on December 30, 2018. He was born on July 17, 1935 in Flagstaff to Rosando and Jesusita Morado. Marshall managed the Orpheum Theatre for more than 20 years when the Orpheum was a movie theatre and later on at the Walgreens Distribution Center where he retired in 2001. He was an active member of the Knights of Columbus #1229 and the Society of St. Vincent De Paul. Marshall was an avid reader. East Flagstaff Community Library was his favorite place to spend an afternoon. Marshall is survived by his wife of 62 years Dolores, two daughters Vivian Morado Stout (Steve), Margaret M. Chopas (Mike), and son Eddie Morado (Carol); sister Emma C. Rodriguez (Frank); brother Tony Contreras, and grandson Angel M. Morado. He is preceded in death by his parents and his infant son Ralph Morado. A Holy Rosary will be held on Tuesday, January 8, 2019 at 9:30 am at Our Lady of Guadalupe Chapel, 224 S. Kendrick St. A funeral mass will follow at 10:30 am. Inurnment will take place at Calvary Cemetery at a later date. In lieu of flowers, contributions may be made to St. Vincent De Paul in Flagstaff. Arrangements are by Lozano’s Flagstaff Mortuary, www.FlagstaffMortuary.com. Linda Baker, 75, of Flagstaff, AZ passed away on December 17, 2018 at the Olivia White Hospice House. Linda was born and raised in southern California. As a child she spent time on her family’s farm in the Palouse country of Washington State. She enjoyed the Palouse so much that she graduated from Washington State University (Go Cougs!) where she made lifelong friends. Linda lived in Flagstaff for almost 50 years as a homemaker and raised three children. She thoroughly enjoyed traveling, watching college football and reading. She was a member of Eastern Star. Linda is preceded in death by her beloved husband of 32 years Dr. Malchus Baker, Jr., son Raymond Baker, parents, brother Bruce Swanson, and in-laws. She is survived by her daughters Anne Marie Reed (Wade) and Erika Baker, nephew Blake Swanson of Portland Oregon, sister-in law Beverly Baker of Lake Montezuma, brother-in-law Larry Baker of Carol Stream, IL, and numerous family and friends. At Linda’s request, there will be no church services. However, there will be a graveside service at Calvary Cemetery on January 14, 2019 at 10:00AM. Her daughters would like to especially thank Northland Hospice, Wadhams Apothecary, cousin Steve Allen, Eleanor Onsae of Avenues of the World, Inc., and Eliza Daley Read for their support during her last years. Condolences and memories can be left for the family at www.norvelowensmortaury.com. On Thursday, December 20, 2018, Debbi L. Grogan, beloved wife, mother, daughter and sister, passed away from complications of pancreatic cancer. Debbi was a pillar in the Flagstaff community. Her passion and commitment helped create a stronger business community, a more progressive approach to planning and of course her famous festivals that have brought worldwide attention – Flagstaff Blues & Brews, and the Flagstaff Oktoberfest. The community of Flagstaff is a better place because of the efforts and dedication of Debbi Grogan. Although Debbi’s passion was in helping others and being involved in her community, her true love was her family. Debbi and Pat’s house was the place to BE, where all the best parties were and where all the love and BEST food could be found. Pat was Debbi’s foundation and strength that allowed her to soar to the heights she did. She was always secure in knowing Pat would catch her no matter how high she climbed. Or how many yard projects she embarked upon with great enthusiasm. She was an amazing gardener and Dave the Lemon Tree is going to greatly miss her loving attention. However, the true love of Debbi’s life was her daughter and best friend, Jennifer. Debbi was an amazing mother who poured everything into raising a smart and confident woman. Debbi made sure Jennifer felt love from everybody around her and worked to create an environment of inclusion and acceptance. Many of Jennifer's friends learned to call her "Momma Deb". And when Debbi decided to start hosting festivals, there was only one person who could partner with her and organize her incredible mind and that was Jennifer. Together they created a successful festival and events business that placed Flagstaff on the international Blues map. The bond between Debbi and Jen was incredibly special and they lived a lifetime in the short time they had together. Together, Debbi, Pat and Jennifer became known as the “Three Muskateers” and have a lifetime of memories together. She will be mourned deeply. Debbi will be forever remembered by her husband Pat, and their daughter, Jennifer, by her parents Janet Miller (Ken) and Bob McCraley (Annette), and by her sister Terri Nopp (Mike) and brother Bob McCraley (Mary). Debbi will also be forever remembered by her extended family, dear friends and the Flagstaff community. There will be a celebration of life memorial in the Spring. Norman R. Robidoux ,84, a longtime resident of Flagstaff passed away on December 23, 2018 in Glendale, Arizona where he had been retired for 28 years. Norman is survived by his wife Bonnie of 61 years; His children, Melody (Michael) and Rick (Angela); Grandchildren, Jayson (Angelina), Cameron and Max and 4 great grandchildren. Norman is also survived by his brothers, Dennis (Jolynn), Roger and Maurice (Faith) and sister, Lorraine (Willie). A Graveside Service was held on Thursday, January 3, 2019 at 1:00 p.m. in the Love Mausoleum at Green Acres Mortuary and Cemetery in Scottsdale. Marie C. Holmes, 89 of Flagstaff passed away December 28, 2018 surrounded by her family. She was born September 2, 1929 in Crofton, Nebraska to Otto and Justina (Marxmeir) Lintel. Marie married Leslie E. Holmes April 28, 1952, they had two daughters. Marie was active in her church was a lover of word searches and reading, she could spend hours at the Library. She was also an avid Nebraska Cornhusker Football fan and well as Alan Jackson and other county music. She is survived by her daughters Paula Aliff and Helen Holmes, cat Sugar, sister-in-law JoAnn Lintell, many nieces and nephews. She was preceded in death by her husband; both parents; son-in-law Charles Aliff Jr.; Brothers Joseph, Ferd and Wilfred Lintel; Sisters Madeline and Irene Lintel, Rose Moore, Leona Baldwin and Josephine Jackson. Kimberly Dawn Piper (Underwood) passed away Dec. 8, 2018. Kimberly was born to Jerry and Patricia Underwood Dec. 20, 1967 in Chattanooga, TN. She is survived by her husband Mark, daughter Virginia, mother Patricia Underwood, brother Jeremie S. Underwood and uncle John W. Miller, and many extended family members in Tennessee. She was preceded in death by her father and both maternal and paternal grandparents. There will be a celebration of Kimberly’s life in the early summer. In lieu of flowers, please make a donation to cancer research or Northland Hospice. Christian “Chris” Hulls III, 69, beloved husband, father, brother, and uncle was peacefully called to the Lord on December 29th, 2018, from his home in Flagstaff, Arizona. Chris was born in Wickenburg, Arizona, on April 27th, 1949. He attended various schools throughout Arizona, Nevada and New Mexico before graduating from Flagstaff High School in 1967. He then attended NAU for a year before enlisting in the Navy during which time he served as a Seabee in Vietnam. After the service, he returned to Flagstaff and worked as a heavy equipment operator, and later as an electrician for many years with N J Shaum & Son. He recently retired after working 37 years for Transwestern Pipeline. In his younger days, Chris was a volunteer firefighter with the Doney Park Fire Department and later served on their Board of Directors. He also served as a past member of the St. Mary’s School Board and, more recently, as a member of the San Francisco de Asis Parish Council, as well as a member of the Knights of Columbus. Chris never tired of spending time with his family at Lake Powell. He also enjoyed hunting, camping, hiking and traveling. Chris is survived by Sharlene, his loving wife of 45 years, daughter Tamara (Travis) Dooley, son Brandon (Melissa) Hulls, brother Gary Hulls and other extended, loved family members. He will be deeply missed and forever in our thoughts and hearts. Services will be Friday, January 4th at San Francisco de Asis Catholic Church in Flagstaff, AZ. A rosary will be at 9:30am, funeral mass at 10: 30am with a luncheon to follow. In lieu of flowers, please feel free to send donations to the NAU Newman Center at https://wwwcatholicjacks.org/make-a-gift-1 or to St. Vincent de Paul at https://www.stvincentdepaul.net/flagstaff-sfdaconference. Arrangements by Norvel Owens Mortuary. Ellen Simons Davis passed away peacefully on December 30, 2018, surrounded by loved ones. She was 91 years old. 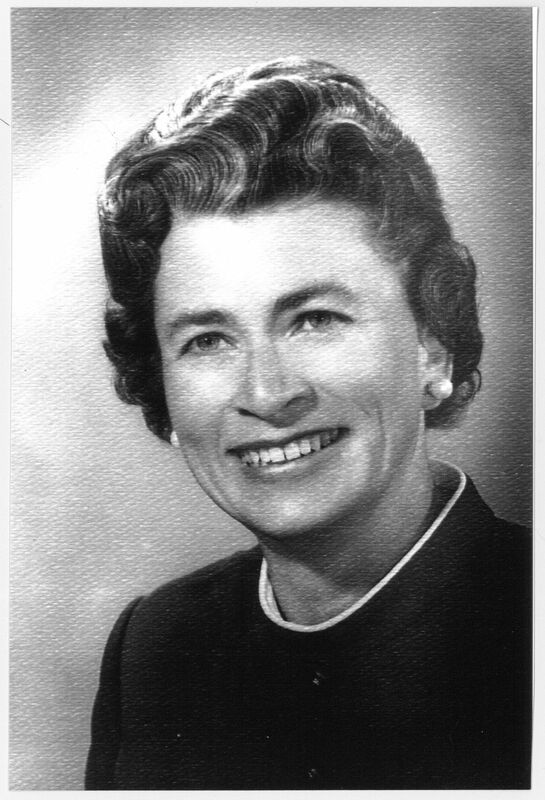 Ellen was born on February 15, 1927 on a ranch near Woodruff, UT, to Wainer Dixon Simons and Hazel Pearl Dean Simons. She was raised and attended schools in Woodruff and Payson, UT. She married Blair W. Davis on October 24, 1942 in Payson, UT. Their marriage was later solemnized in the Mesa, AZ LDS temple. The following year, Blair left to serve in the US Marine Corps during WWII while Ellen supported him from home and cared for their firstborn. In 1961 the family moved to Flagstaff, AZ. While living in Flagstaff Ellen owned the Merle Norman Cosmetic studio for many years. After retiring to Clarkdale and the passing of her husband, Ellen returned to Flagstaff where she resided until the time of her passing. Ellen was a member of The Church of Jesus Christ of Latter-day Saints, and served in various callings. She enjoyed gardening, crocheting, poetry, and writing. A devoted wife and mother, she cherished and was very dedicated to her family. Ellen is preceded in death by her parents, three sisters, one brother, and her husband. She is survived by her son Blair L. Davis (Kapi), daughter Janet Coker (Jeff), son Dixon Davis (Garry Olson), sister Dona McPherson, six grandchildren and ten great grandchildren. Visitation will be held Saturday from 9:00 – 9:45 am at The Church of Jesus Christ of Latter-day Saints, 625 E. Cherry Street, Flagstaff, AZ. The funeral will follow at 10:00 am. Interment and graveside service will directly follow in the veterans’ Section of Flagstaff Citizens’ Cemetery. Condolences and memories can be shared at www.norvelowensmortuary.com. Arrangements by Norvel Owens Mortuary. Richard Eugene Santini, 66, was born in Yuma, AZ on February 7, 1952. He was beside his family, hand-in-hand when he was called to heaven on Christmas day December 25, 2018. Richard was a loving husband, caring father, proud Tata, loved brother, uncle, son and friend. He is remembered for his welcomed sense of humor, contagious laugh and love for his family near and far. Richard was also known for his hard work ethic, leadership and steadfast moral compass. Richard lived in the Flagstaff area for the past 40 years and dedicated his life to his family. For the past 21 years Richard worked as a logistics manager at Essity and assisted in management of the family business, Bedrock City, for 15 years prior. Richard was also a veteran of the U.S. Navy and served his country in his early years. He was a man of many trades with skills, talents and passions of both professional and personal recognitions and accolades. Richard was a mentor and guiding light for both family and friends, he made a lasting and positive impression in every life he touched. He had a heart of gold that he shared freely. He is survived by his wife of 38 years Susan Santini, sons John Santini and David Santini, daughter Vanessa Mauro, son-in-law Michael Mauro and mother-in-law Linda Speckels. Richard was blessed with 3 grandsons Angelo Mauro, Jayden Santini and Kylen Santini, who brought him so much joy and happiness. He is also survived by his brother Ernie Santini, sisters Olga Salomon and Alice Santini, brother in-law Petie Salomon and sisters in-law Tana Glasscock, Holly Hulen and Gina Speckels. He has many loving nieces, nephews, cousins and extended family that celebrate his life. He is preceded in passing by his parents Frank Santini and Pearl Santini, and brothers Charlie Santini, Augie Santini and Johnny Santini. Funeral services held at Harvest Christian Fellowship on December 31st, 2018.